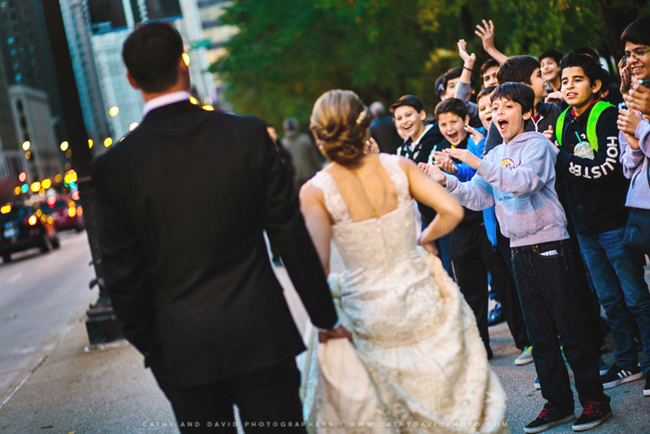 Kelley and Brian's Chicago wedding wasn't easy to plan. Brian was traveling as an outfielder for the Chicago Cubs at the time, and Kelley was still living in her hometown of Houston. Fortunately, Brian's sister and other family members in the Chicago area pitched in. The result was truly a classic celebration of romance. 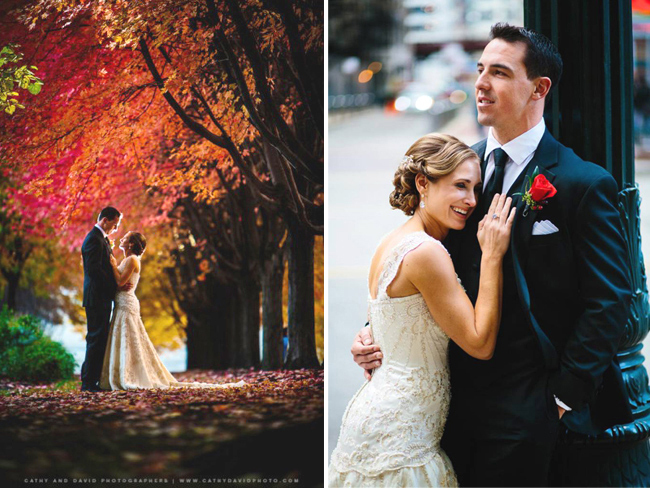 Kelley and Brian met at Tulane University, where Brian was both a pitcher and outfielder on the baseball team. He went on to play for the Houston Astros and Chicago Cubs. She became an attorney. 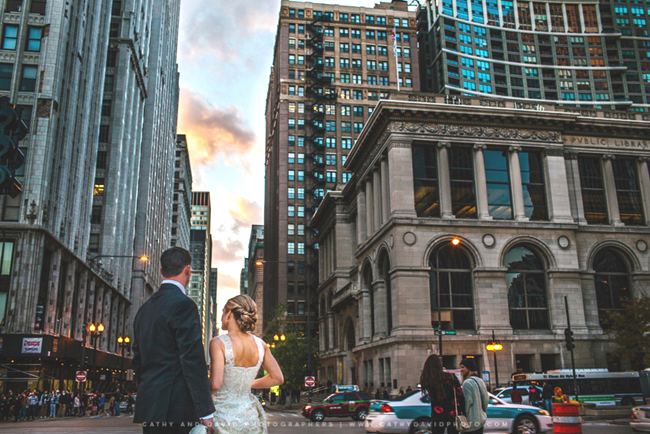 For their November wedding between baseball seasons, they selected Chicago's Palmer House Hilton for it's rich, romantic decor. But, Kelley wasn't bound by tradition, opting to have both her parents give her away at the ceremony. She also surprised each guest at the reception with a different personal note of thanks and appreciation. Kelley's bouquet by Phillip’s featured Black Magic roses, red roses, red amaryllis, hypericum, and cherry peppers. Centerpieces at the reception included roses, antique hydrangea, heather, floating candles, and botanical Autumn accents such as apples, grape clusters, and seeded eucalyptus. 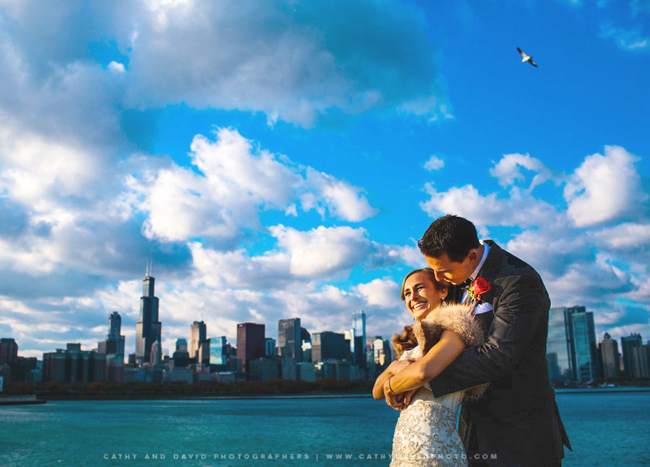 Wow, what a wonderful couple and a beautiful day. See more at BouquetCatcher.com, or see it all at Cathy and David Wedding Photographers. 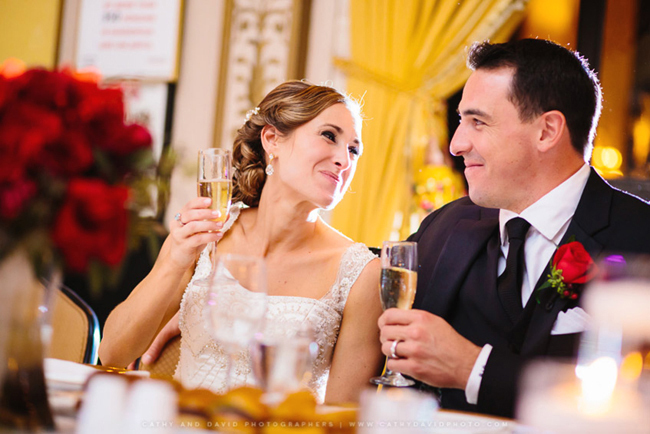 Congratulations Kelley and Brian; we wish you all the joy in the world. 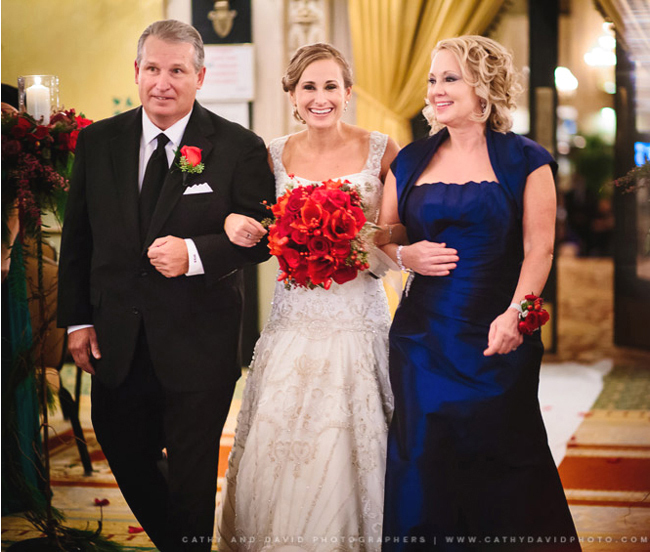 Credits: Photos by Cathy and David Photography, Gown by Winnie Bridal (Houston, TX), Tuxedo by Jim Kole (Houston, TX), Floral Designs by Phillip’s Flowers in Hinsdale, Music by Entourage of Arlen Music Group, Hair by Bia Mia LaMantia, Makeup by Looks, Ltd, Cake by Take the Cake.